There are few windmills in Mississippi, wooden shoes are a rarity, and cotton fields are more common than fields abloom with tulips. Hans Brinker would probably never need his silver skates in the Magnolia State. However, should this beloved fictional character ever venture to our state, he might encounter a little bit of Holland at Van Zyverden in Meridian. At the Van Zyverden warehouse, Hans Brinker would find a genuine Dutch heritage and enough tulip bulbs to feel right at home. Van Zyverden is one of the largest wholesale distributors of flower bulbs in the United States, and two Van Zyverden brothers, Dirk and Corstiaan, founded it in 1915 in Holland. The two were cattle farmers who began growing tulips. In 1919, Corstiaan began selling tulip bulbs they had grown in the United States. 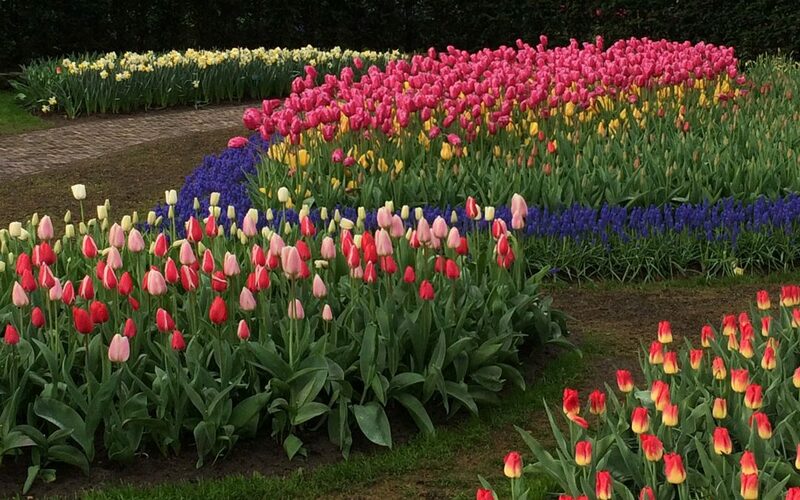 The tulip mania of the 17th century had most definitely waned, but few gardeners, wherever they may live, can resist tulips or daffodils in the springtime. The sons of Corstiaan, Dirk and Paul, followed in their father’s footsteps. Dirk covered sales in the Northeast, and Paul covered sales in the Southeast. Paul, as he traveled the Southeast, was quite taken with Southern hospitality, and determined that Meridian was a good central location from which to distribute the company’s bulbs in the Southeast. In 1961, he rented a loft from a feed and seed store in downtown Meridian. Within a few years, the company quickly outgrew the loft and through the years has expanded many times. Today, the great- grandchildren of Dirk Van Zyverden, Jacqueline Van Zyverden Hogan and Robert A. Van Zyverden are the owners of the company, and the company occupies a 425,000-square-foot warehouse just outside the Meridian city limits, employing hundreds of people. From Meridian, bulbs are distributed throughout the country to beautify gardens and communities. At Meridian’s Van Zyverden, all are busy distributing flowering bulbs, beauty, and cheer to gardeners around the country. Yes, way down south in Mississippi, one can find a little bit of Holland. By the way, their website has lots of information on how to plant and grow bulbs of all sorts. Check it out at vanzyverden.com. This is an excerpt from an article in our January/February 2018 issue. To order a subscription and have each issue delivered right to your mailbox bi-monthly, click here.